WELCOME to my PARTY!!! RELEASE DAY!!! and my 100th POST! rem: Good afternoon, Tessa, welcome. Tessa: Good afternoon. It’s good to be here. rem: Your childhood was rather a Cinderella story. What was it like growing up without your mother’s attention? Tessa: I didn’t know any different, until I started school and my friends talked about their mommies. But, Carlotta was there for me since the day I was born, and Aunt Vandy is in my earliest memories. I grew up with her kids, they are like sibling-cousins to me, perhaps more than anything else. Of course, Molly has always been like a big sister to me, and now that we’re adults, we have an amazing friendship. Once Mother and Heath began courting – they never just dated, it was so society oriented, and once they finally became exclusive, I guess everyone knew they’d marry. He was kind to me, paid more attention to me than Mother did really. His mother, my Grandmother Lila was particularly sweet to me, too. I know now that was for his sake. rem: What about Kase? What effect did he have on your childhood? Tessa: Kase was the one person who made my childhood special. I was still so little when he and Mother split up, and I didn’t understand. I’d see him in the gallery sometimes, and he’d wink at me, and give me great big hugs. He was so withdrawn with other people, but with me, he was the most affectionate and tender man you could imagine. And I mean that in the best way, not inappropriate at all. rem: How did you feel when your sister was born? Tessa: I knew there was a baby coming, but I was only ten years old. I thought they would go get her somewhere, or that Santa might bring her. I remember being so disappointed that Christmas morning, because Santa hadn’t come, and Mother and Heath weren’t home. rem: That must have been difficult for you. How did that make you feel about the baby? Tessa: Oddly enough, it made me feel protective. After the new baby novelty wore off, something in me kicked in that made me want to protect her, to be sure she never felt as put off as I did. I knew Aunt Vandy would love her too, and I wasn’t jealous. I wanted to be for her what Vandy was for me. rem: So you two were close. Her death must have been traumatic for you. rem: And when your mother arrived in Greece, what was that like? Tessa: Remember, she had already said how she felt on the phone. She didn’t know it was me she was talking to, of course, she thought I was Connie. That was the more traumatic part. I knew how she felt, but to hear it put into words, I just… [deep breath and pause] And then she got there, and she was showering me with affection. I tried, truly I did, to tell her. But I couldn’t make the words come out. rem: Didn’t you think someone would discover what you did? Tessa: Every day. Not a day went by in thirteen years that it didn’t cross my mind at least once. I couldn’t tell Howie, I couldn’t tell Molly, nobody. I was terrified if they found out, if they knew, that they’d hate me. That they would feel the same way my mother always had about me, unwanted, indifferent. rem: Why did you choose the name Tessa? You were living life as Connie, why not keep her name? Tessa: I couldn’t bear it. I loved her, I couldn’t let myself be called by her name. Tessie was my nickname for her from the time she was a tiny baby. And a twisted sort of bonus, Mother hated it. To insist she call me by the name she hated, gave me a sort of wicked glee. rem: How did it make you feel when you got the phone call? Did you have any idea who it was? Tessa: Honestly, the cruelty of it made me think of Mother at first, that she was behind it. But then again, she was indifferent toward me, but never cruel. I couldn’t fathom who could know what happened or how they found out. I wracked my brain trying to figure out who might possibly know, or who might loathe me so desperately to be so cruel. rem: Tessa, thank you for being with us today. I hope our readers are sufficiently intrigued to want to know your whole story. Tessa: I sure do hope so. Thank you for having me. WELCOME to my PARTY!!! – DAY THIRTY!!! My Countdown Celebration is winding down. Or, should I say, RAMPING UP!! Tomorrow’s the day, Tessa’s official Release Day. Of course, she’s been available for a couple of weeks now, but tomorrow’s the HOOPLA and CELEBRATION!! TWO parties, one online, one live. It’s been a tall order, writing a blog post every.single.day. I’ve loved it, but it was a lot of work!! So how am going to celebrate NOT posting every.single.day? For one thing, except for my Sunday Devotional post, I’m taking a hiatus from ye olde blogge for November. And the other little reason, the next consumer of my time shall be NaNoWriMo – National Novel Writing Month. “NaNoWriMo is an annual (November) novel writing project that brings together professional and amateur writers from all over the world.” (NaNoWriMo.org) Yes, I’m taking the plunge. From one high-volume writing task to ‘nother! Fifty thousand words in 30 days! How could I not? It’s a challenge, yes? Gauntlet thrown, no? Challenge accepted, gauntlet picked up! According to the rules, actual writing does not begin until the stroke of midnight on the 1st of November. I can’t speak for others, but I shall abide by this; in fact, I may not even begin until the 2nd….. What with my event on Saturday ‘n all! I have my title – that’s a biggie – The Key on the Christmas Tree, and my main character, Risa, and a couple of others, and I have a most general story line, something of a cross between The Divine Secrets of the Ya-ya Sisterhood and The Sisterhood of the Traveling Pants. I think. The key is, well, key in connecting Risa to Lina. That’s about all I know to this point. Suffice to say, I am not an outliner, but a “pantzer” which is to say, I write “by the seat of my pants,” which is to say, my characters tell me the story as we go along. I do know this will be the first in a series of novellas, something entirely new to me. Like the whole Author Hat isn’t new enough, or NaNoWriMo itself for that matter; I hadn’t even heard of NaNo until this month! LOL The connections Risa makes, through the key, will each be the main character of his or her own story. A general summary / notion of The Key on the Christmas Tree: Risa lives alone, maybe has a cat, works a solitary job – as yet undetermined – and leads a fairly solitary life. On her visit home for Christmas, with her large and bustling family, she discovers an antique key hanging on the tree. She becomes fascinated with it, why it’s there – the tree is always decorated the same every year. She asks, albeit quietly, but no one has a clue about the key. It seems it has mysteriously appeared, and that it is there specifically for Risa. The scope of the adventure is yet undetermined, but the key sets in motion a new life for Risa, and connects her to new people, who become fast friends for life. NaNoWriMo will be a fun venture for me, I can’t wait to see where Risa’s story takes her, us! If I pull it off exceedingly well, it might even be available in time for Christmas!! A Christmas miracle! For all the work that went into posting daily, I’ve truly enjoyed it. (not so much I want to even attempt to maintain on an ongoing basis though!) I plan to be back on track, posting regularly on Fridays. After the first of the year (is that so close that it’s already “a thing” now!!!) I will continue with book reviews and author interviews – both of which intimidated me at first but I discovered I enjoy! Monthly though, definitely not weekly! And, the sequel to Tessa is brewing; stay tuned! I moderated a spot on this Facebook event today. 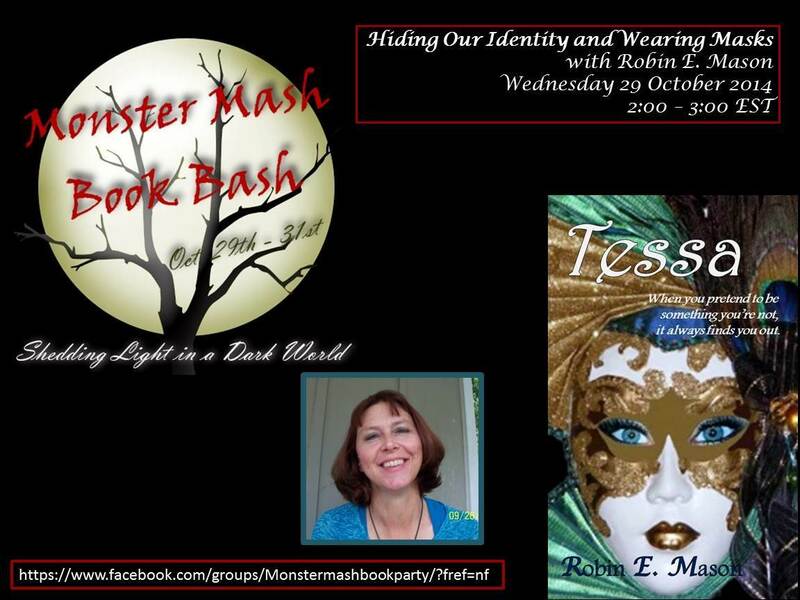 Staying on topic – for me – I discussed wearing masks. Halloween, of course, is all “fun-n-games” candy-seeking. Right? I did not address Halloween or its origins, I did not discuss the do or don’t participate. Intentionally. rem: What do you think about that statement? true or no? AC: I think it is true. rem: thanks AC, can you share an example? rem: Reminds me of the internet. I am really backward and shy in person but I’m not online. Make sense? rem: that’s really good!!! don’t we all hide behind our digital personna!!! rem: Other than burglary, why would anyone want to hide their identity????? I think we associate masks with fun, Halloween and parties. But there is a darker side to masks. what about someone breaking into your home or a bank? what are they hiding and why? AC: Their face of course.  If someone sees them, then no one can identify them by their facial features. rem: EXACTLY!!! hiding their identity!!! RE: And possibly their own fear. You feel braver in a mask. rem: AC, you mentioned being shy. I understand that so well. and apparently, it’s a trait not uncommon to writers, and artists in general. I think we compensate [some do] with inflated ego. Some of us, however, prefer to stay in our safe cocoon. and when we must venture out, we put on a brave front, i.e. a mask of sorts. rem: for reasons to complicated too address here, I lived most of my life with a crippling lack of confidence. even with evidence to the contrary!! I could not, no way, no how, let anyone be aware that I was mistaken, or even that I did not know something. 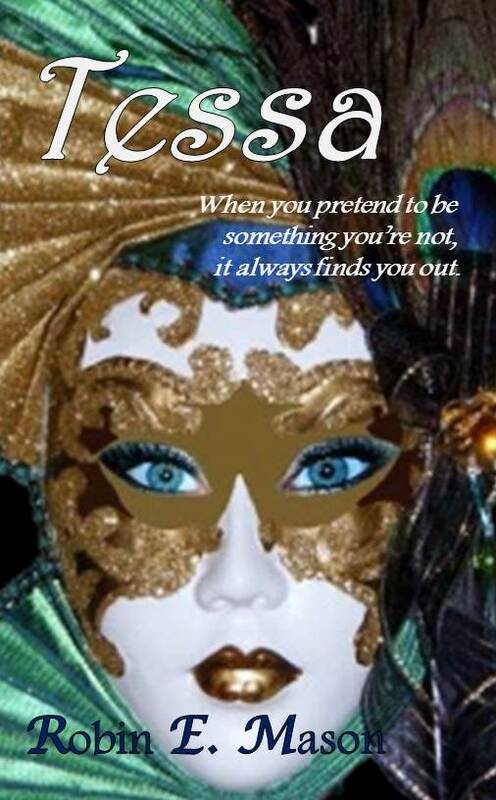 my “mask” then, was a false bravado and a total facade. AC: Exactly! The same here. CG: Nice to meet you, Robin, and glad you are not invisible any longer! rem: me too CG!! thanks!! rem: my personal spiritual journey and walk with God has brought me to the place I am now – still learning – confidence, in who I am, and in the gifts, talents, and abilities He has given me! CG, you just made a great comment, “Scary,” to one of the images of masks. Question: which is scarier – visible masks or invisible? AC: I have to say invisible. A lot of times when we hear about a serial killer, many friends, family and coworkers are shocked that they did those things. CG: That is so true, the initial “scare” over a grotesque mask is one thing, but when we become lured in by the other kind of masks, whoa is me…. I am now living without masks, learning to reveal more and more of my real self, to trust [dear God, trust!!!] others with my heart!!! but oh, the joy!!! KS: Hello Robin, I used to be invisible, too, very shy. I would be so surprised when people noticed me and said hello. Like you, the Lord Jesus Christ has brought me out of my shell. I was told as a child that “children are to be seen, not heard”! I must have adopted the invisible part unconsciously; if I couldn’t give my opinion then I must become invisible. One way I compensate now is with a partial mask; when things are getting too serious I pull out my Billy Bob Teeth I got on eBay and start telling jokes or just talking funny. It changes the sad, tired waitress, the boring meeting, the family arguing, and it gets everybody laughing. I am amazed at how my personally changes into this latent comedian. 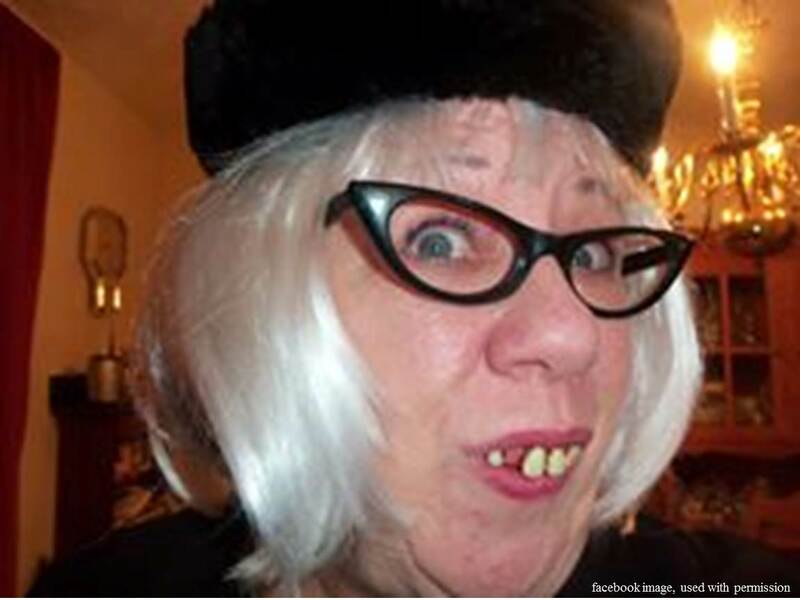 I have a wig and hat and housecoat when I do Maxine jokes at a monthly lady prayer group and for senior luncheons! HERE IS MY HAPPY MASK! rem: KS, what a wonderful example of God using that which the enemy intended for evil!!! the very thing that kept you intimidated – you are now using for His glory!!! LOVE this pic by the way!! rem: what about this? classic and complete change of personality??? because of a mask…..
a final word, there are instances in which masks are a good thing, a safety feature: gas masks, military, sports even. GC, thanks for giving me the chance to share my [scattered] thoughts on masks and identity!! I look forward to the rest of the event, and I’ll plan to join in again next year!! thanks to all for participating with me!! AC: Have a great day, rem! CG: Very interesting and thought provoking discussion, Robin. Thank you! rem: thanks ladies for your great discussion!! The Land is primitive and simple, and its people are content. They live minimal lives, at least by the standards of the 21st century. Except that this is 2025. And The Land is isolated from the world, and its turmoil that swirls around them. No one had left The Land since the ancestors arrived there seven generations ago. Nor had anyone else discovered the island. Until Lieutenant Connor Bradshaw. Ejected from his aircraft during a military assignment gone bad, Lieutenant Bradshaw’s body washes up on the shore of The Land. Strolling the beach, Lydia Colburn watches in amazement as he drifts from the heavens, clad in unfamiliar military garb, and unconscious. As a doctor, Lydia’s concern for an injured patient outweighs her curiosity of his arrival. His injuries are not life threatening, and with treatment of gray leaf tree, Connor recovers quickly. The lieutenant’s military training demands that his priority be to recon with his squadron, but he finds that to be impossible. There is no technology in The Land, and no communication with the outside world, and the ocean currents surrounding The Land are too treacherous to navigate As time passes, however, Connor becomes acclimated, and satisfied, living in The Land – and attracted to Lydia. As his feelings for her stir and grow, he not only feels the need to protect her, but to protect The Land from the world outside. His world, a world of war and destruction. For the first time in her life, Lydia feels her heart stir, and allows the hope of romance to begin to warm her heart. Keely Brooke Keith presents a unique story, in which two worlds collide. Not unlike traveling back in time, the modern day knight in black army gear is suddenly thrust through a portal of sorts, to a world of simple means. She deftly builds tension, not only between Lydia and Connor, but with a disgruntled admirer who hovers on the outskirts of the story right up to the ending pages. 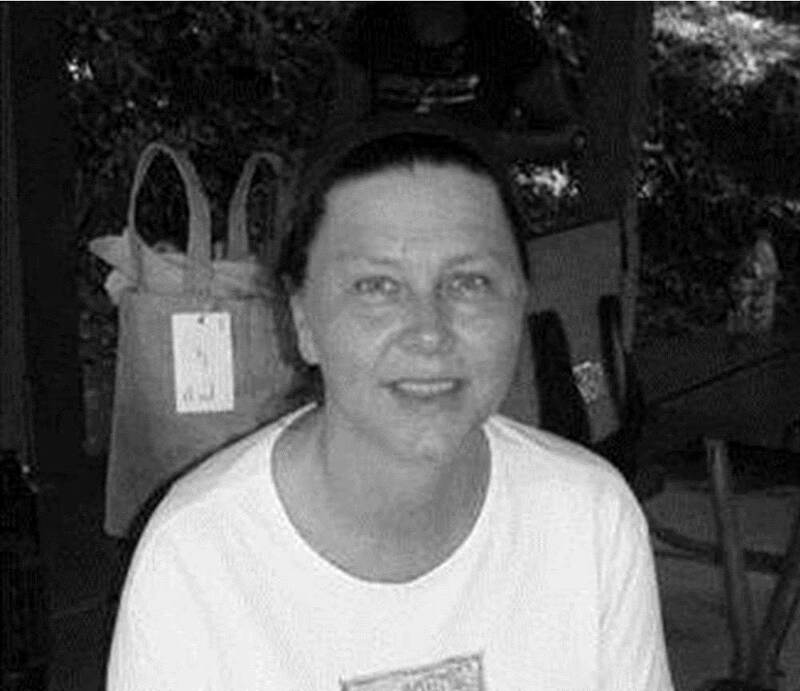 Ms. Keith has created a very believable characters in Lydia Colburn, dedicated to her calling as a doctor, who struggles with real life issues, and in Lydia’s family members, as well as Connor Bradshaw, who struggles at first with being unable to return to the life he had known. Ms. Keith has also created a very believable world, The Land, in which the society is structured neatly; but not to be utopian or Pollyanna, evil lurks at the borders. 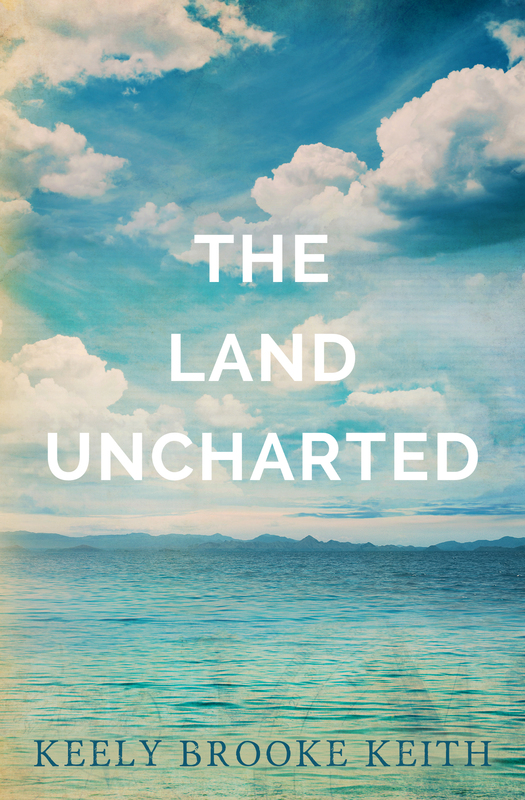 A delightful read, The Land Uncharted pulled me easily in to the story line, and as I came to know the characters, I found myself rooting for them in their quests. I look forward to more by this author. Contest begins today and goes through the Day of the Event! 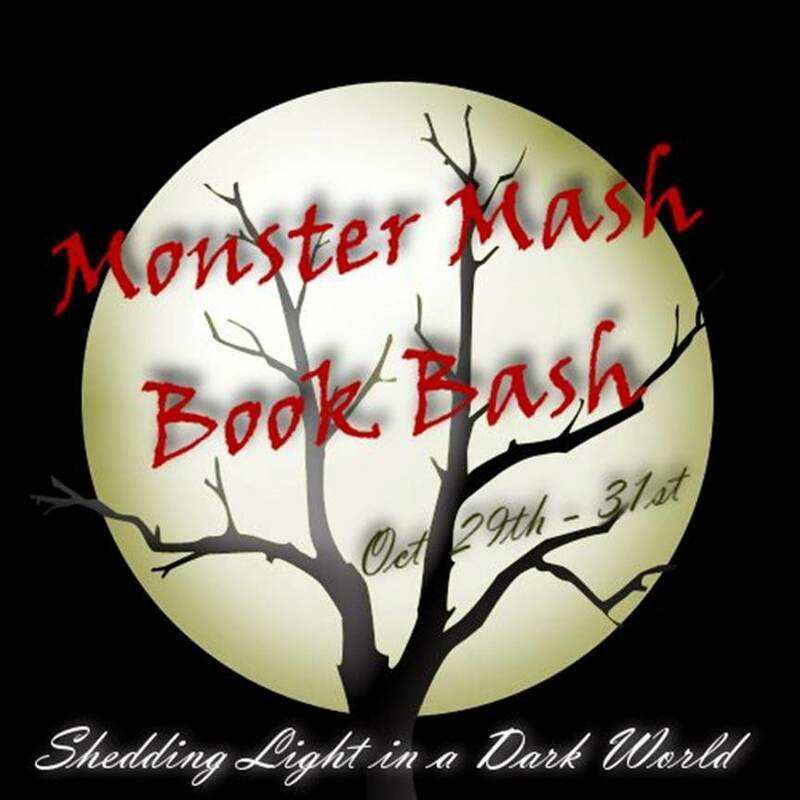 On the Day of the Event, I will randomly select one correct entry as the winner. C – Which books I reviewed this month. I had planned to write today’s Devotional about worship. However, today’s church service ministered to me in such a way that I will share what Holy Spirit dropped in my spirit this morning. While we were singing William McDowell’s, “Withholding Nothing,” the part that says, “I surrender all to you,” He told me to surrender ALL – surrender my pain – NO!! NOT MY pain, THE pain, surrender THE Rheumatoid Arthritis, surrender [and here’s a biggie] THE poverty!!! They are NOT mine! They are NOT my portion nor my inheritance. I have identified with these for so long, I’ve tolerated them for so many years – but no more!! NO MORE!!! It’s the great exchange. When we give Him what we have and are – He gives us what He has and is. Papa God is everything. He has everything. And then, the part where he’s singing about, “All I want is You.” And Holy Spirit said back to me, “All I want, Robin, is you.” That’ll blow your mind. All He wants- is US. So, I relinquish all that comfortable junk, all that which seemed and felt like it was mine, but isn’t. Lies can never be mine. Or yours. Lies aren’t anything, they are distortions, mirages, illusions – and they aren’t real. We can never own something that isn’t real, we can never own nothing. But the Truth. The Truth is faith and evidence and substance of things unseen. The Truth is the fulfillment of all that He is and has for us. The Truth is who we are. The Truth is our identity [there’s my theme again!!! Imagine that!!] And our identity is in Him! Outside of that, away from Him, our identity flounders, flops, and fails. For if we are not attached to the Truth – to the Vine – we cannot sustain ourselves, our lives. And we settle for counterfeit, for lies, for vapors of nothing. Pain that I’ve lived with for years? Not true, not God’s Truth. Poverty? Not His either. I offer this poem I penned a few years ago. That’s the problem with any lie, it doesn’t want to go. It moves in and settles in, takes over and gets comfortable. In our lives. But it doesn’t belong in our lives, and when we kick it out, when we tell that thing, whatever the lie in your life may be, that in the Name of Jesus it has to go – it isn’t going to go peaceably. And it may take some time. [OUCH!!!] But authority is authority, and it doesn’t waver or quake. And if we stand firm in the authority that belongs to us as the righteousness of Jesus, those lies have not choice and they will flee. So yes, I surrender ALL to Holy Spirit. Because I know what He offers, what He has for me in exchange, is perfect. será lanzado IMPRIMIDA en Halloween! ¿Qué es nuestra propósito en el Reino de Dios? Para ser sal y luz, para compartir la Palabra del Señor, para compartir la verdad y Su amor. Para ser Su mensaje viviente. Somos vasos de Su Alma, de Su presencia, y Lo llegamos adentro de nuestra alma en cada minuto. Somos Sus manos y pies en la tierra, somos Su voz y Su canción. Bienvenido, Señor, bienvenido en este lugar, en nuestras corazones. Querido Padre, queremos conocerte, queremos saber Tu voluntad, queremos saber Tu Palabra. Enseñanos, Padre, en Tu camino. Aviva Tu Palabra en nuestra mente, aviva Tu Palabra en nuestras pensamientos cada día. Camina con nosotros y guía nuestra camina. Te amamos, te damos la honra y la gloria. En el Nombre de Jesús, Amén y Amén. 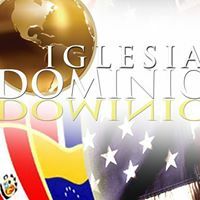 Nuestro iglesia se llama, Iglesia Dominio, “una iglesia Hispana que existe para despertar y desarrollar líderes con el propósito de Dios y Su reino.” http://www.DominioSC.org/ Los servicios empiezan a las 7:00 cada sábado. Estan disponible por el internet, también. El link para el servicio es: live.dominiosc.org. ¡Juntanos! Tengo que dar un “shout out” a mis pastores, Marc y Blanca Garcia! Son mis padres espiritules! Estoy demasiado bendicido conocerlos a ellos, y demasiado agradecida al Señor para ellos en mi vida!